"This is a very funny book and should not be read while drinking orange juice, or you will spill it!" 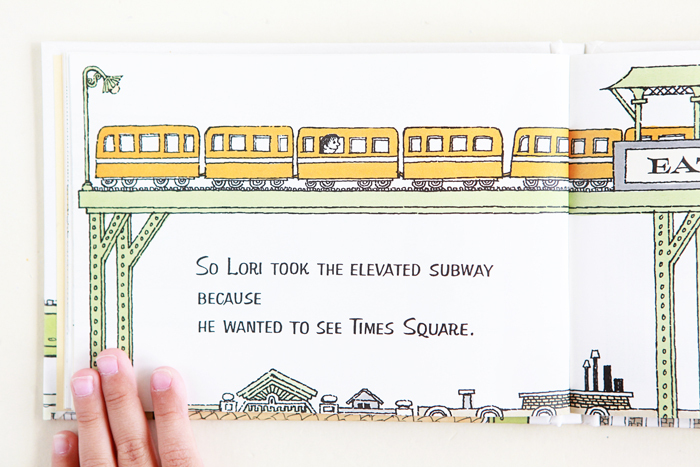 This is a rerelease of How Little Lori Visited Times Square, written by Amos Vogel, illustrated by Maurice Sendak and hand lettered by Morris Karol. Little Lori decides that he wants to take a trip to see Times Square in New York City, but encounters many obstacles on the way. He does get to see quite a bit of New York, though. He also makes a new friend who helps him in an unexpected way. Maurice Sendak's palette of earth tones is very reminiscent of the year this title was originally published, 1963.